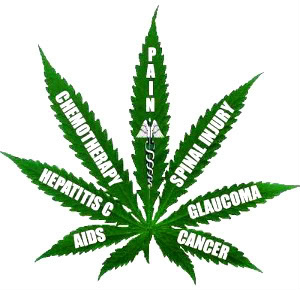 WHO has made a statement saying that cannabis should be decriminalised world-wide because existing laws cause health discrimination. In Australia, patients are being actively discriminated against as police are instructed to enforce existing laws and close down “illegal” supplies, leaving critically ill people with no workable solutions for their health problems. Flawed health policy generates bad laws and lowered community respect for policy and laws. Yet again, Pharmacy is in a position to provide solutions very simply and simultaneously create opportunity for the profession to treat chronically ill patients efficiently and economically. Pharmacy leaders need to be proactive in the regulatory area because other health professionals are actively competing to lock pharmacy out of any opportunity whatsoever. 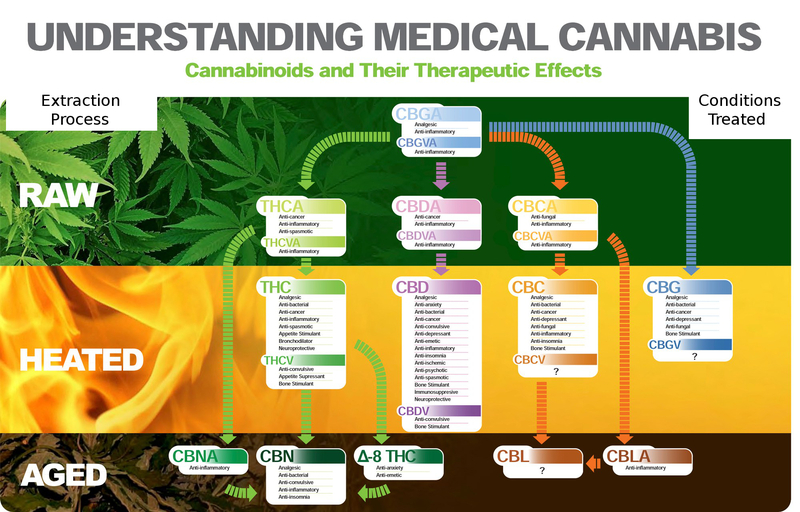 Potential for pharmacists is found in the compounding of THC and CBD in specific ratios to match the best result for patients with chronic illness. Further pharmacist potential also lies in using cannabinoids in harm minimisation programs involving opioid dependencies and as an adjunct for the management of pain. Pharmacists also need to be active and have a voice in the regulation of these substances ensuring that maximum patient access can be obtained through the application of Schedule 3 of the Poison’s Act. New Haven, Connecticut, faced over 100 overdoses from the drug K2 between Tuesday and Thursday, Aug 14-16, 2018, mostly in and around New Haven Green, a large park in the downtown of the city near Yale University campus. The rash of overdoses overwhelmed New Haven police, who described the scene as individuals literally falling over unconscious. As they attempted to intervene in the mass overdosing, some individuals were treated and then returned to park, where they needed to be treated after consuming K2 again. At least one individual was treated in three separate visits to the emergency room. K2, also known as “spice” and “kush” is often referred to as a synthetic marijuana. It’s a human-engineered chemical compound similar to THC, the psychoactive ingredient in marijuana. However, K2 is often as much as fifty to one hundred times stronger than naturally occurring marijuana. Overdoses tend to cause increased heart rates, respiratory distress, severe bleeding and vomiting, and unconsciousness. The drug is often sprayed onto plant material and smoked, or it can be in a liquid form and inhaled through e-cigarettes or other vaporizers. Given the swift and dramatic reactions, first had responders suspected that the K2 in the New Haven outbreak might have been adulterated with an opioid, likely fentanyl, leading them to apply more than fifty doses of naloxone, a drug that can reverse opioid overdoses. Three people were taken into custody as “persons of interest” and at least three arrests were made for possession of a controlled substance in connection to the overdoses. Although some of the victims treated tested positive for fentanyl, New Haven police ultimately determined that the K2 consumed in the park contained fubinaca, a potent cannabinoid agonist. Fubinaca, which was abandoned by Pfizer in early development as an analgesic was designated as a Schedule 1 controlled substance in the USA in 2014. A large spike in overdoses has occurred since 2015, including over fifty overdoses in Chicago in April (which lead to four deaths), and over fifty people in one Brooklyn, New York neighborhood. The US Food and Drug Administration made a statement last month underscoring the imminent public health threat and continued monitoring for contaminated synthetic marijuana products. Fossil fuel experts declare oil production is more limited than people realize, as an older alternative emerges new. Everyone who drives a vehicle is aware there is a growing problem with fossil fuel depletion. As the price at the pumps continue to rise, the law of supply and demand, as well as many top analysts predict our crude oil resources are running out. Crude oil is not a renewable resource, so once it’s gone… it’s gone for good. After nearly 150 years of drilling and fracking, fossil fuel experts believe oil production could be nearing its peak and the hunt is on for a viable replacement. Using industrial hemp, researchers may be back on Ford’s trail to unlocking a greener path to renewable fuels which not only provides a valuable resource but helps repair environmental damage in the process.Henry Ford was the first to create a vehicle which used hemp biofuels. His Model T, or “Tin Lizzie”, ran on either gasoline or hemp-based fuels. 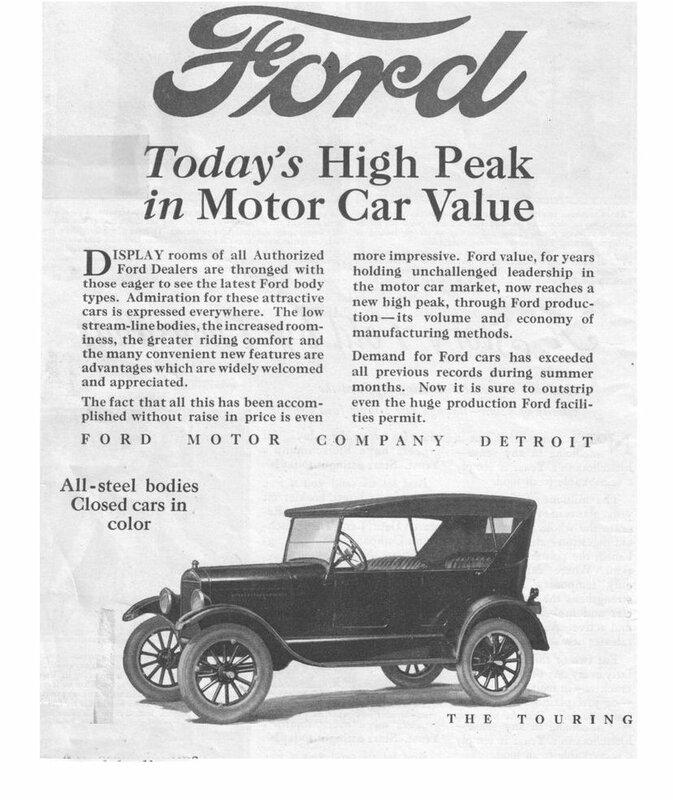 However, with the discovery of large crude oil deposits in the early 20th century his idea for a sustainable, plant-based automobile fuel fizzled out. The overuse of chemical pesticides, herbicides and a wide variety of other agrochemicals in the United States has left the soil and water horribly contaminated and toxic in many instances, effecting all future crops.A study published in 2016 in the journal Frontiers in Public Health warns residue from agricultural pesticides can be found in a large number of common products including water, wine, fruit juices, and even animal feeds. In fact, pesticide residues were even found in human breast milk. While detected levels were below “safe limits” according to safety standards, experts fear these numbers may be underestimated. Pesticide exposure commonly occurs through contact with the skin (lotions, cosmetics), ingestion (fruits, vegetables), and inhalation (the air, smoking). As endocrine disruptors, these chemicals can mimic the human hormones, estrogen and testosterone, and inhibit the production and metabolisation of the natural hormones. 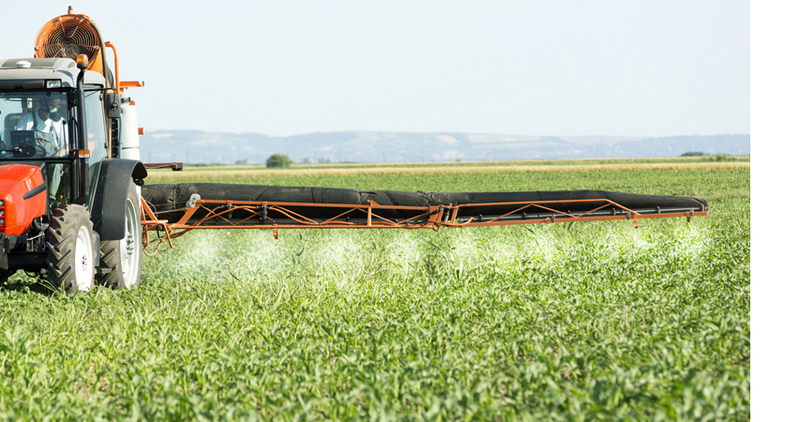 The rise in autism and ADHD, as well as, instances of cancer have also been linked to higher consumption of pesticides. Hemp, or the industrial version of cannabis sativa, can be used for bioremediation, a process to restore soil from toxic pollution. Essentially, as a phytoremediator, hemp pulls the toxins out of the soil like a sponge. Farmers in other parts of the world use hemp to restore their fields, hemp was even used to remove radioactive agents from the ground following the radioactive disaster at Chernobyl. Further research in 2012 showed hemp effectively absorbed cadmium from the soil as well. Astonishingly hemp can clean up a broad range of toxins in the soil including metals, pesticides, crude oil, and toxins in landfills. However, just as we wouldn’t want to consume an apple sprayed with RoundUp, the hemp grown to detoxify these soils must not be used for human consumption either. Fortunately, creating a green, environmentally-friendly hemp biofuel from the harvested toxic plants almost seems poetic. Researchers at the University of Connecticut found the seeds from cannabis sativa, or industrial hemp, can be used to create a viable, sustainable diesel fuel. One researcher stated that most hemp farmers today probably produce enough hemp to create enough fuel to power their entire farm. Now, with this harvested toxic crop producers can make two varieties of biofuel:Hemp biodiesel is made from hemp seed oil and can be used in any conventional diesel engine. UConn’s research showed hemp oil had a 97% conversion rate into biodiesel and passed all lab tests. Imagine a fleet of transport trucks powered by fuel made by a plant which left the soil in better condition than it found it.Meanwhile, the rest of the plant can be used to produce ethanol or methanol. Sometimes referred to as “hempanol” or “hempoline” this type of fuel is made through a process called cellulolysis which ferments and distills the hemp to extract ethanol. Methanol, on the other hand, is produced from the woody pulp matter in the stalks of plants. Creating methanol from hemp is done through a process of dry distillation.Advantages And Disadvantages Of Hemp BiofuelsAs a carbon neutral resource, the plant ingests carbon dioxide (CO2) very quickly, even faster than trees. 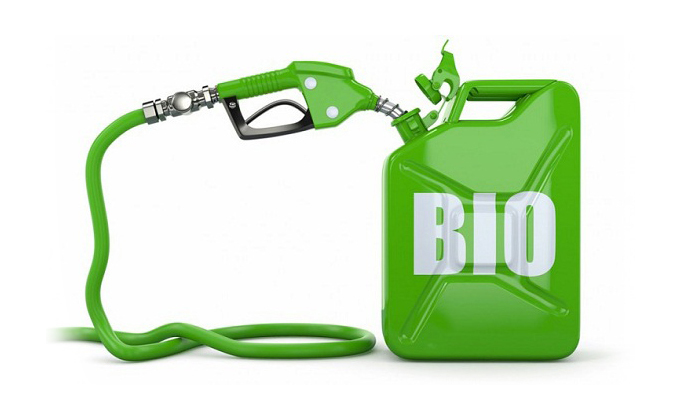 Plus, carbon dioxide emissions from biodiesel is reabsorbed through the process of photosynthesis in plants. So, in addition to pulling toxins from the soil, the hemp plant can essentially “scrub” CO2 from the air we breathe.When growing hemp, it returns about 70% of its required nutrients back into the soil, which means this crop requires much less fertilizer to grow. Less fertilizers means cleaner water supplies.Creating a renewable resource crop which can restore the soil to health, pull toxins from the ground, air and water, while creating a viable energy source may sound like the American Farmer’s dream come true, however, it doesn’t come without its own set of challenges.A Few DisadvantagesUnfortunately, hemp production in the United States declined rapidly with a growing demand for synthetic fiber, and then the Marijuana Tax Act of 1937 added to the villainous reputation of cannabis sativa. Although the Farm Bill of 2014 allows the industrial crop today, the infrastructure for producing hemp biofuels is not yet established. This creates a major hurdle to overcome. Additionally, because hemp can grow virtually anywhere, some worry about the deforestation already occurring in some parts of the world for other feedstocks. Could hemp and the pursuit of fuel, cause further damage to habitat as humans look for new places to grow the crop? With the Senate unanimously approving the Hemp Farm Bill, clearly the lawmakers are recognizing the potential of the industry and a need to bolster this once highly regarded industrial crop. Supporters are hoping these measures will once again help move the United States back into contention in the hemp industry. Hemp biofuels could help lead the nation’s economy from a petroleum-based economy to a hemp-based economy, providing a sustainable energy resource which leaves the planet in better condition than it found it. A recent report released by the Penington Institute showed that deaths from sleeping and anxiety pills, opioids, and methamphetamine have all risen sharply in Australia. Penington Institute chief executive officer John Ryan said the figures were alarming. “We are seeing a surge of drug overdose deaths and this is concerning,” he said. According to a separate report, opioid-related deaths in Australia nearly doubled from 2007 to 2016. The National Drug and Alcohol Research Centre at UNSW in Sydney released a report stating that 1,045 Australians died of opioid overdoses in 2016. Of the 1,045 opioid overdose deaths, 76 percent were attributed to pharmaceutical opioids. Manufacturers of alternative medicines say medical cannabis products should be made more accessible to patients as an alternative to opioids and other pharmaceuticals. Medicinal marijuana has been legal in Australia since 2016, but many eligible patients around the country still have difficulty accessing it. Medical cannabis advocate and entrepreneur Elisabetta Faenza says there is still opposition to medical marijuana products in Australia. “The Australian Medical Association’s position has softened but certain state branches of the AMA are incredibly negative and that has really put fear into doctors,” she said. Faenza is the CEO and co-founder of Leafcann, a company that is working to bring medical cannabis products to the Australian market. She says Australians want more options to treat pain, nausea, and anxiety. “Especially when people have chronic pain conditions or cancer pain, a lot of studies have shown that medicinal cannabis is a great way to wean people off these high doses of opioids, anti-anxiety medication, and sleeping tablets,” said Faenza. Faenza says now is the time to look at alternatives for pain management, nausea, anxiety, depression, and PSTD as concerns around opioid reliance are on the rise. 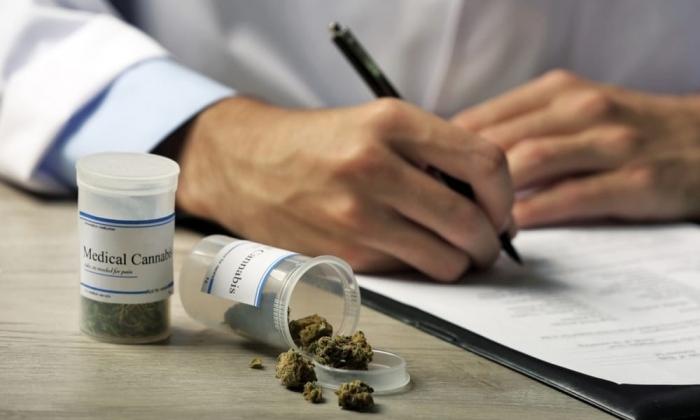 The Medical Cannabis Council has expressed the same sentiment, stating that medical professionals often view medicinal cannabis as a “medication of last resort”.